Beta access to my custom car mods early, days before public release. Regular behind the scenes updates on the project with screenshots of my progress. Granted the Contributor role in my Discord. Beta testing access to Tuners and Outlaws server. Take part in cinematic filming in a private GTA V server. Up to 24hrs early access to watch the gameplay/customization video for my latest project. Granted the Sponsor role in my Discord. Your name on-screen at the end of my YouTube videos. Granted the Developer role in my Discord. Access to developer diaries for each project. Granted the Creator role in my Discord. Up to 24hrs early access to watch the cinematic showcase before it goes live on my channel. 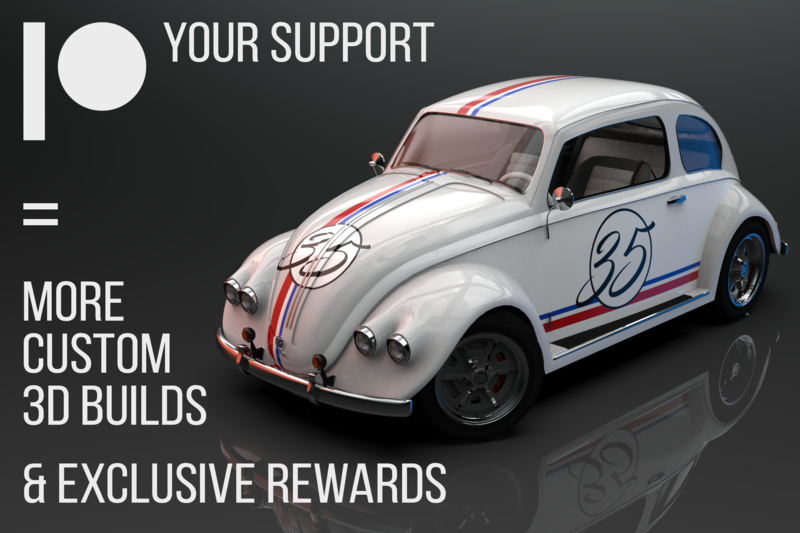 Access to alpha version of the custom modded car in it's earliest testing stage. Granted the Pioneer role in my Discord. I'll put together a wheel pack using all of my original wheels thus far and many more new ones with various customization options for dish and tire types to go with them!